Water rowers are a class of small boats that range in use from single-seat pleasure craft to advanced competitive models. When considering building your own water rower, your chief considerations should be the rowing method and number of passengers your boat will carry, the hull material and the subsequent manufacturing capabilities you have at your disposal as well as their economic viability. While fiberglass may be an ideal material if you plan to build in your garage or shop, you might be better off working with wood. If you are not concerned about costs, you may take your design to a larger scale machine shop and have it constructed without sparing any expense. There are two primary methods of rowing a boat: scull rowing in which, a single rower operates two oars simultaneously. Pair rowing is another option; with it, one rower focuses on a single-ended oar. 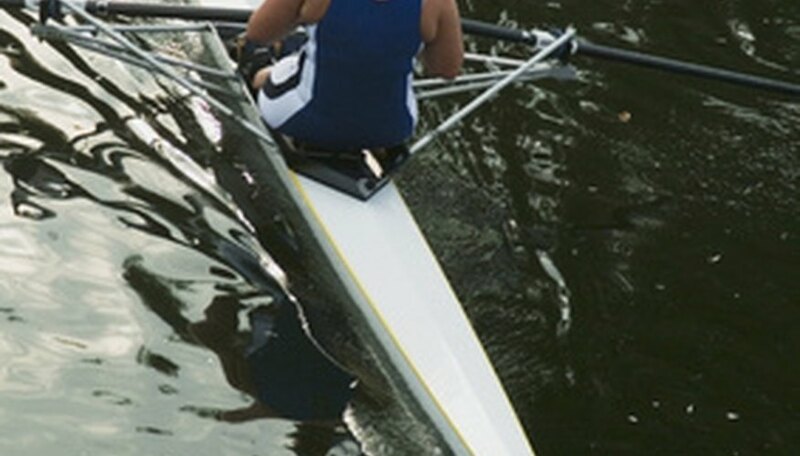 The advantage to scull rowing is that it is far easier to distribute force equally to either side of the boat, making straight-line travel easier. Pair rowing by contrast is best suited to two or more people, but this requires skillful teamwork to maintain directional control. Choose the rowing method that best suits your personal preference to make your water rower far more enjoyable. For the casual and pleasure craft boater, scull rowing is your best choice. The simplest, often least expensive and most traditional material is, of course, wood. The advantages are that it is readily available, easily worked and relatively inexpensive. The downside of the wooden hull is that repairs can be difficult. Wood rots and when compared with other more modern materials, wood can often have somewhat limited strength. Aluminum is an easily obtainable material and is fairly easy to work with for a metal, making it a popular hull material. The upside of aluminum is that it is long-lasting, resistant to corrosion and fairly strong. A downside to aluminum is that it is quite thermally conductive, making for a rather unpleasant row on chilly waters. Fiberglass is also a common hull material. You can easily shape it into customized and contoured shapes provided that you have access to the rather expensive equipment required to work this material. Fiberglass has the advantage of being virtually rot proof and extremely strong if properly designed, but it is heavy, making it a poor choice for any boat that will frequently have to be portaged.